1) Nanette Lepore - I love this collection, as well as the colour/colour scheme and silhouettes are some of my favourites, such as a-line skirts, wide trousers and simple bandeau tops. I am also obsessed with the cheeky slogans and messages which featured on Lepore's designs, as they show that fashion really does not have to be taken seriously. 2) Sandy Liang - Out of all of the SS16 collections I have seen so far, this is the one of the few which I see as wearable off the out of the show space. Liang stuck to minimal designs, such as culottes and shirts, but added a modern and edgy twist by using small details such as fraying, sheer panels and embellishment, as well as nice textures such as leather, fur and denim. 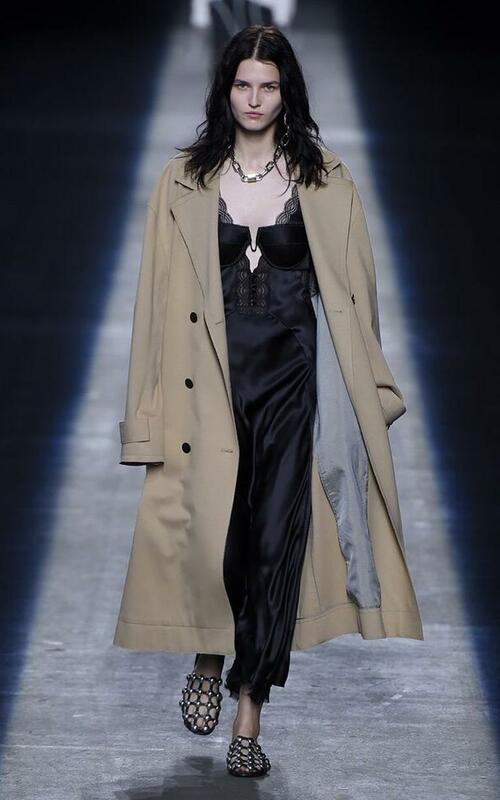 3) Alexander Wang - Wang brought out an amazing collection (no surprises there), which was filled with both more sporty and more grungy looks, two things which I really like about the Alexander Wang aesthetic, complete with darker tones and fabrics such as silk and denim. 1) Amanda Wakeley - This collections caught my eye as there is an interesting combination of shapes and textures within Wakeley's designs. 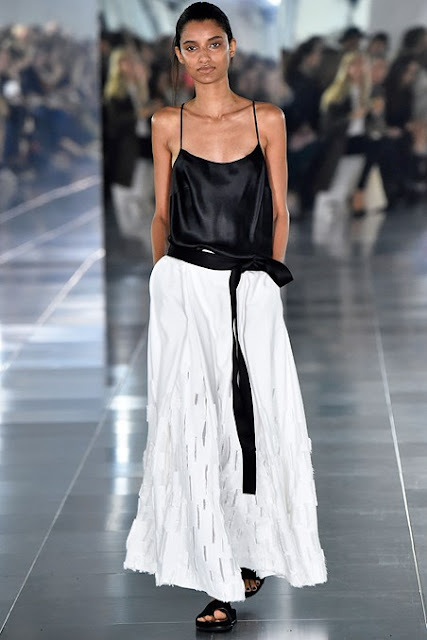 I also love the fact that she has included aspects such as low necklines and exposed shirts to add a bit more originality and making the SS16 collection more youthful. 2) Joseph - I really like the minimalism and simplicity of the monochrome and pale colour palette, yet the different fabric textures, such as plain combined with shinier or sheer elements, make the collection so much more unique. 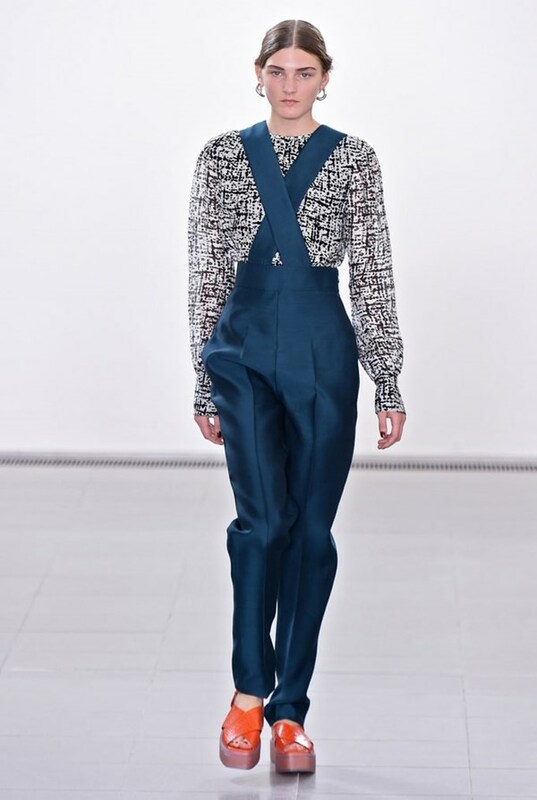 3) Paul Smith - The new and revived collection from Paul Smith really caught my eye as I am in love with the combination of contrasting colours and rich hues with eccentric structures, similar to ones of Issey Miyake (one of my favourite designers). Who's collection did you like? I love what Alexander did at Balenciaga too. Sorry to see him go. Really loving some of the pieces from the Alexander Wang collection. these are all to die for! I'm also completely obsessed with the sandy kiang floral painter(??) leather jacket! White stripped suit and minimalistic outfits - love that's all! Wow, I like the look with the biker jacket and the others, too! Inspiring photos, fashion wees is like a fresh air. Absolutely love it. 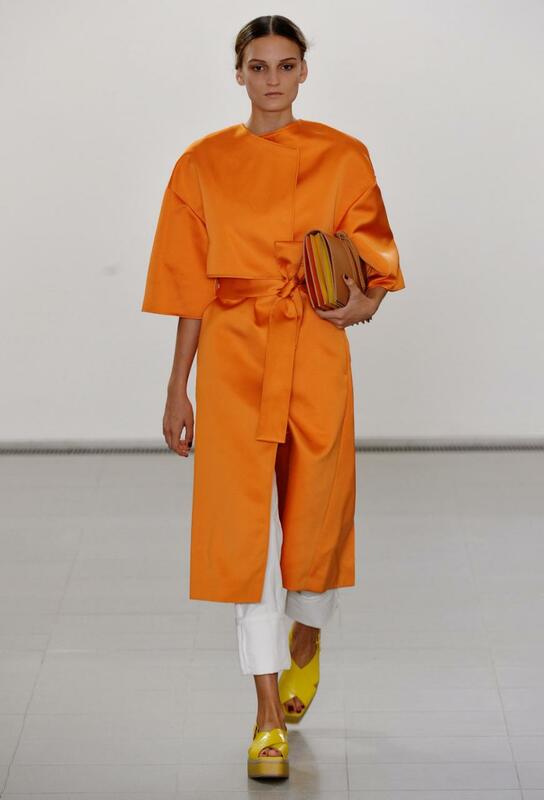 such cool clothes - Issey Miyake and Paul Smith are both Geniuses!!! I like Nanette Lepore's collections and Im digging on Amanda Wakeley's bottoms. I like your selections! they are all cute♥♥. 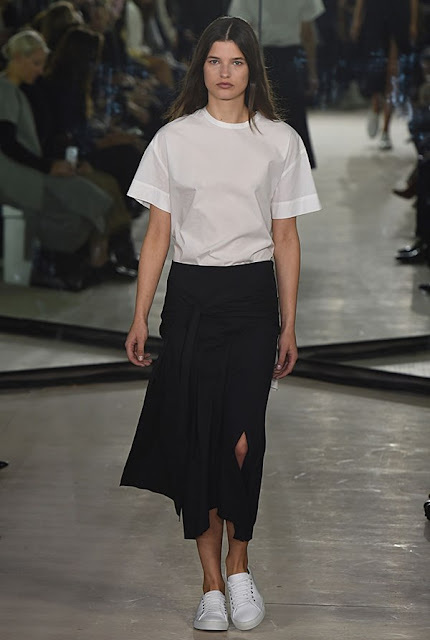 LOVE Nanette Liopre' and Alexander Wang<3 great picks! I love nanette lepore bathing suits, I've never thought to check out her clothing line for some reason and I really should! Love these looks! The statement on the Tees and Dresses are amazing I need those in my wardrobe! Gonna be needing that dress about the phone charger, and these looks are phenomenal! !